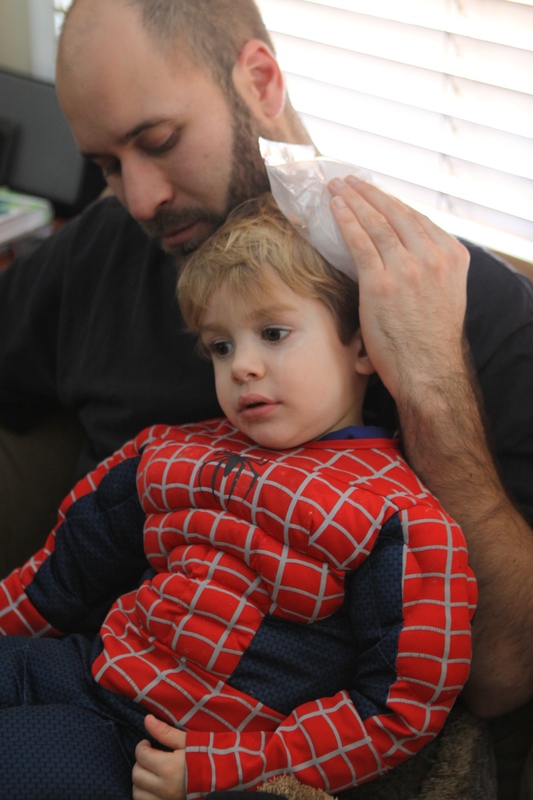 Sitting on Uncle Matthew waiting for the head bump to feel better, our superhero is subdued after some wild maneuvers. Earlier I had witnessed climbing up the banisters, clinging to the ledge at the top of the stairs, oh my. 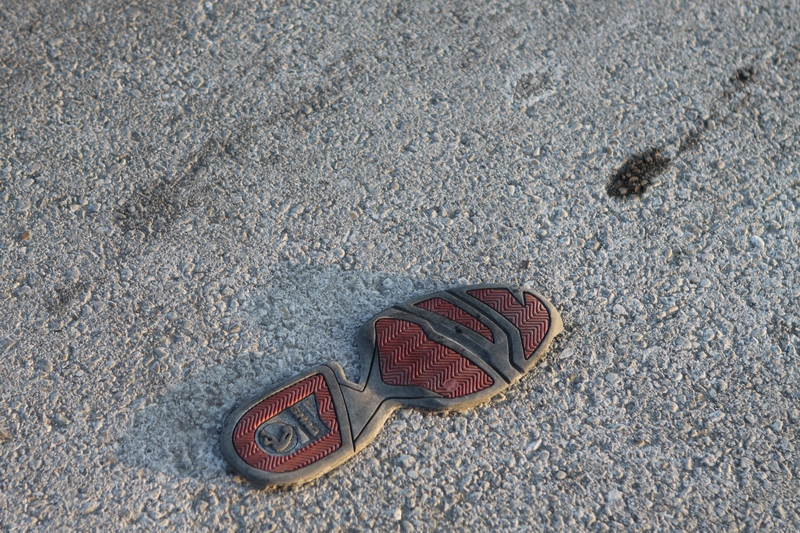 I came in on this scene, went to get the camera and no one noticed. He and Batman had been driving around the circle between the kitchen and dining room on blue plastic motorcycles, around and around and around. It was a quick recovery. Matthew heard Tony play a couple of months ago in Zagreb at a Jazz Festival and now Tuesday night in Columbus, Ohio, Tony Monaco’s hometown. Started at nine, we stayed ’til midnight and Tony was just getting warmed up ready for another set. Reggie Jackson on drums and Derek Dicenza on guitar. Reminded me of the time Matthew and Mary and I went to the Village Vanguard and saw Dr. Lonnie Smith on Hammond B3. Matthew loves to listen to the Hammond B3, It was a fun night with James and Steve. Steve and I went to Laura’s this evening. 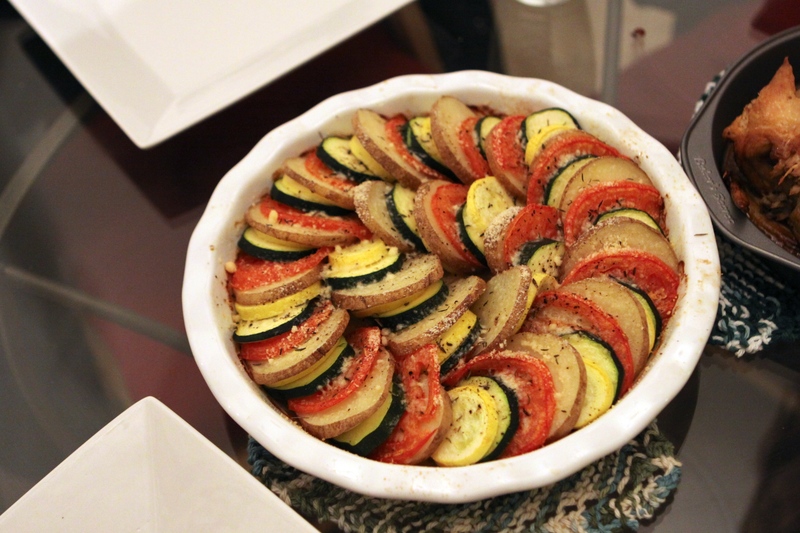 She baked a vegetable Tian (click here for Ina Garten’s recipe)t was delicious on a cold winter night. I lay on Laura’s couch under an afghan my Grandmother Hendricks knit . 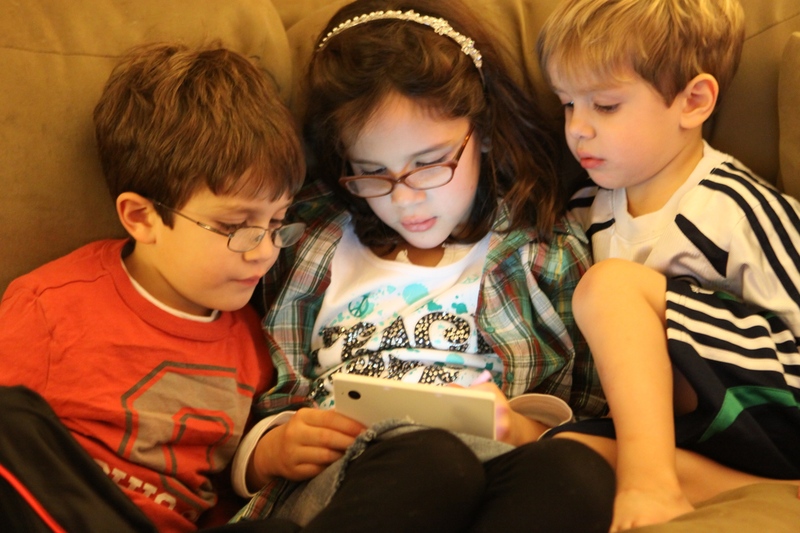 The introduction of the portable electronic world to the children. Matthew came to tell me to get the camera. They never noticed I was there., YIKES. Mesmerized is the word. A new DS for Christmas captures everyone's attention. 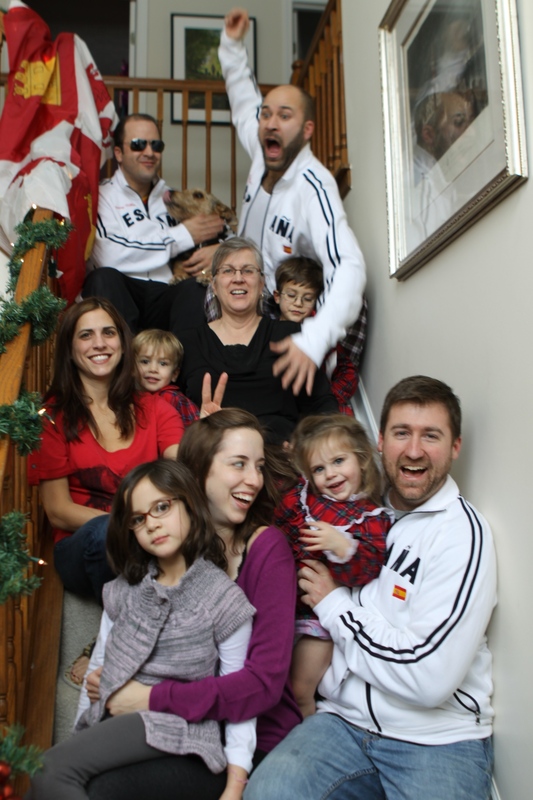 V. had said, be sure to get a family photo on the stairs this year. After I took a ton trying to get the perfect shot, Marlene(my DIL Erika’s mom) suggested I get in the middle. She photographed the scene. Here is the result. I don’t get into too many shots cause I am doing the picture taking. A happy Christmas Day with the family together. Mark in the shades, Matthew cheering wildly, Laura in the purple holding Anna, Erika in the red, James down front on the right holding Maura. Michael and Jack and Murphy, too. Tonight we were wrapping presents, stirring up the breakfast casserole for morning, hanging out after early church and Chinese take-out. A tradition Mark continues from late childhood when the only place open in Shadyside was the Chinese restaurant around the block. Matthew is here from Croatia. Laura and James called on the way back from his parents’ home where they had spent Christmas Eve. Said they might drop by or not. They called again. Said they were at the front door. And James came in carrying a huge brown box. 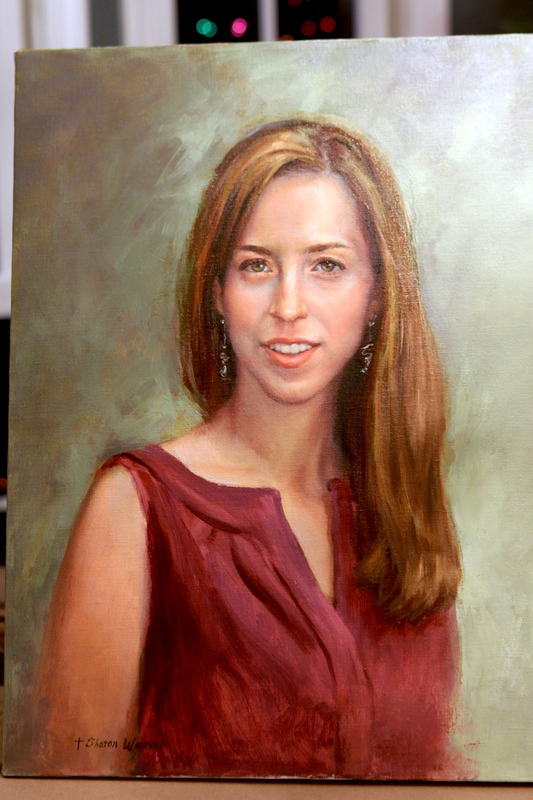 He opened it up on the kitchen table and there was a beautiful oil portrait of Laura looking at me, full of life and beauty, painted expertly by her mother-in-law to be, portrait artist Sharon Weaver. I was overcome, felt a lump well up in my throat, not just for the stunning and beautiful painting. I felt intense happiness that she is loved so well by his family. The painting was such an unexpected gift. An heirloom present. A gift of love. I’ll photograph it again in the light of day. Thank you Sharon! I am going to go and study how to photograph oil paintiings and shoot it again! Thanks for all the condolences and comments on the passing of Fred (yesterday’s post). Must have been a bit distracted because there were 2 errors in two sentences and of course the date isn’t 2011 yet. I am going to have to hire a proofreader for when I am tired. Thanks to V and Keith. So is the preference white lights or colored lights? I am still thinking of the around-the-year storage for these items. 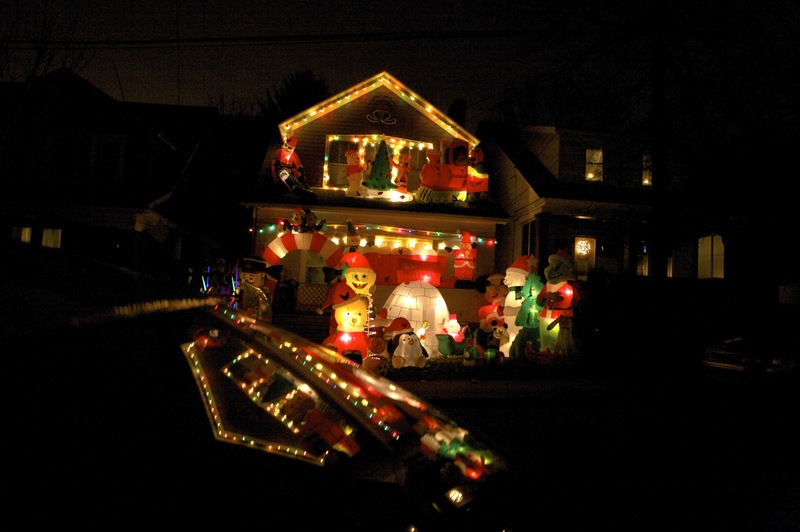 Here is one of the final Christmas lights at night series for Christmas Eve. It can’t be as much fun to dismantle as it is to decorate! 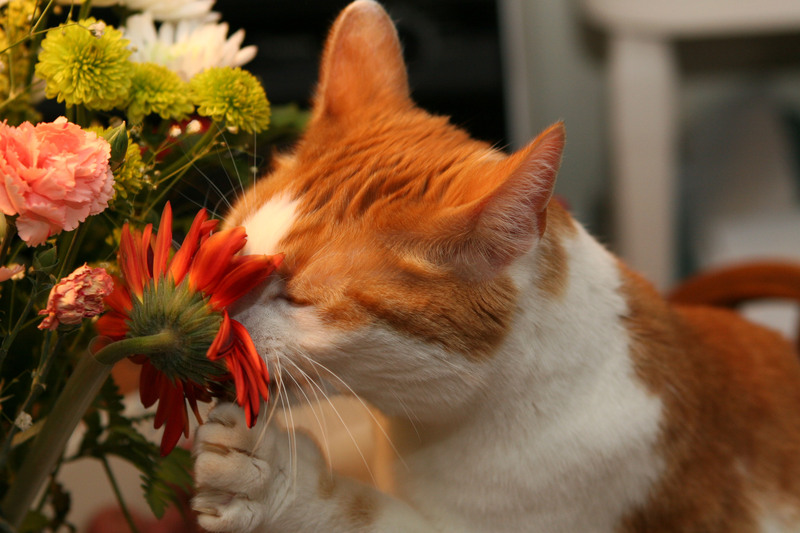 Happier Days- Fred Smells the Flowers. Inflatables to the nth Power + Reflections on the Car = ? A math problem with no answer. It could take years to calculate. At Thanksgiving we saw a yard with 31 inflatables but they were all deflated in the daylight, it just isn’t the same effect. Joan B found this house for me, too. And I spoke to the owner and she said her husband had been ill and they had really scaled down this year (2008). Pre-blog I realize I have been at this for a time now. Shot on the Northside. What can the electricity bill be this month?